While the Eastern States have enjoyed a slow start to summer, here in Perth we’ve had plenty of hot days. So, if you’ve been thinking about installing a verandah for your Perth home, now’s the time to act. While you can’t control the temperature of the day you can help curb the elements by installing a verandah at your house. A well-designed verandah or patio area will not only keep you cooler in summer, it will provide a haven all-year-round. It will provide shade in summer and a way to keep the rain off valuable furniture in winter. 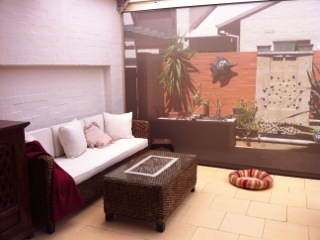 Plus, with the addition of café blinds – a Perth verandah will become a weatherproof haven no matter what the weather. Life’s too short to go without a verandah any longer. Phone Outside Concepts on 1800 601 674 or view our website (Perth verandah) and enjoy the peace of mind of a fixed price guarantee, 10-year structural guarantee and satisfaction assurance.